Meet the smallest member of the Livingponds lineup - the Savio Livingponds Filter 070. 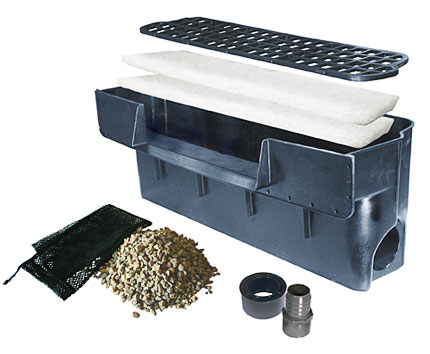 A small filter with big backyard appeal, the '070' is a filter for a pond up to 700 gallons or the perfect intermediate-size filter to complement a Savio Skimmerfilter for ponds up to 2,200 gallons. Ready to keep your water clear, while creating a beautiful waterfall, this Livingponds filter comes equipped with two medium density filter pads and ceramic media. 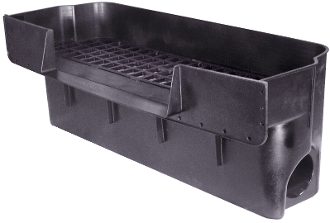 Finished with a 16" spillway, heavy duty media grate and 3" Inlets on either side. Copyright © 2011-2019 Mud Monsters. All rights reserved.